Daily deal sites are incredibly effective for getting new customers to make impulse purchases. Despite their powerful ability to generate sales, the costs that business owners incur by advertising with group buying sites can be extremely overwhelming. Until now! 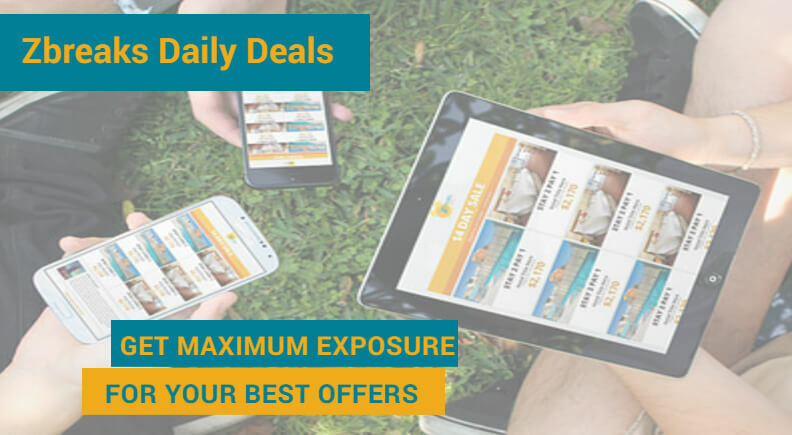 Promote your property using Zbreaks Daily Deals with NO UPFRONT FEES to participate! Let us feature your great accommodation deal and encourage more direct bookings.